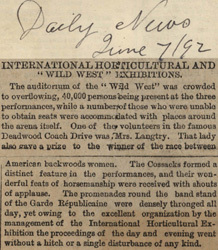 The auditorium of the "Wild West" was crowded to overflowing, 40,000 persons being present at the three performances, while a number of those who were unable to obtain seats were accommodated with places around the arena itself. One of the volunteers in the famous Deadwood Coach Drive was Mrs. Langtry. 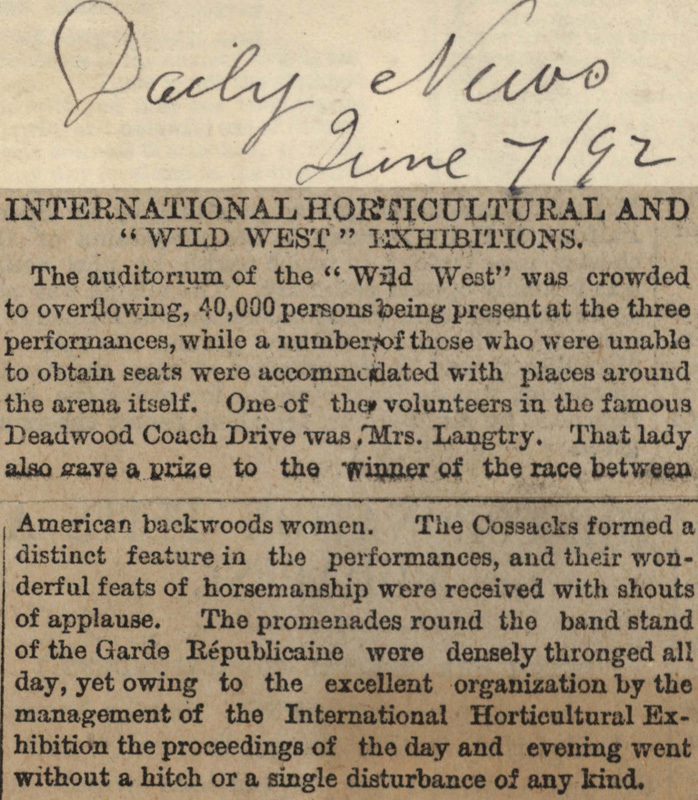 That lady also gave a prize to the winner of the race between American backwoods women. The Cossacks formed a distinct feature in the performances, and their wonderful feats of horsemanship were received with shouts of applause. The promenades round the band stand of the Garde Républicaine were densely thronged all day, yet owing to the excellent organization by the management of the International Horticultural Exhibition the proceedings of the day and evening went without a hitch or a single disturbance of any kind.